This entry was posted in Substance Abuse and tagged Misuse, Opioid, Pain Medication, Prescription Medication on July 8, 2016 by Jacquelyn Ekern, MS, LPC. While these medications are obtained through the prescription of a qualified physician, many individuals may seek out less-common forms of opioid drugs through the black market for purposes beyond appropriate medical use. One of these such opioids is carfentanil, a synthetic opiate drug that is extremely potent and commonly used for veterinary purposes, similar to dihydroetorphine, another heavily regulated opioid. Only professionals who are qualified to handle this medication and substance should do so in the appropriate setting and care. Even animals who receive this substance are carefully managed and monitored due to the potency of this medication and potential side effects that can cause. 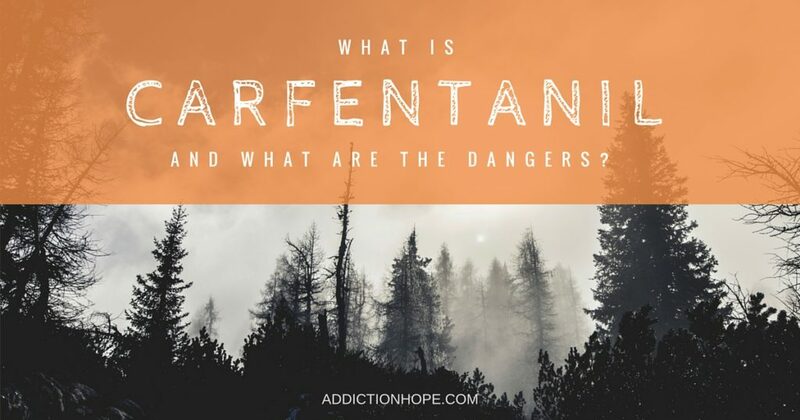 Strict cautionary measures have been established for individuals who are qualified to handle this synthetic opioid, as accidental misuse of or exposure to this drug can prove to be fatal. Veterinary practices and wildlife programs that handle carfentanil are also advised to keep the drug Naltrexone HCL on hand, a reversal agent of carfentanil citrate. Veterinarians qualified to administer carfentanil to animals should be educated and experienced in clinical procedures involving this painkiller, and they should be able to provide appropriate interventions if needed. Misuse in animals can cause severe respiratory and cardiovascular complications and even be deadly. This opioid analgesic is a Scheduled II controlled substance and should never be handled or used without proper authorization. Even individuals qualified to handle this drug should do so with care and in a facility consistent with appropriate Drug Enforcement Agency regulations. If you have found yourself in connection with this medication, be sure to contact appropriate authorities immediately to prevent consequences associated with misuse of this substance. If you are unsure if you have been in contact with this substance, be sure to contact professional authorities as soon as possible. Community Discussion: Share Your Thoughts Here! What do you think are some common misconceptions about opioid painkillers and prescription use of these drugs? Share your thoughts in the comment section below.